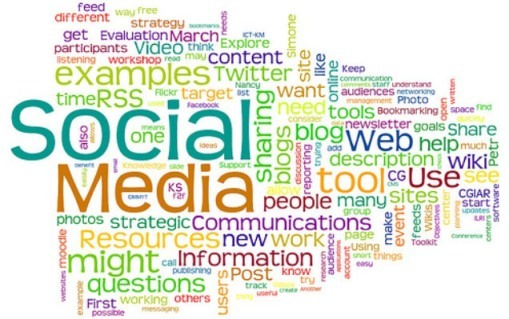 Social Media outreach is important for any business but as with most things you need to have a strategy for Social Media and you need to make sure that it works. Otherwise all your social media expenditures will be in vain and in six months’ time you’ll nave nothing more than a big budget hole and a Twitter account. Any company, big or small needs a social media presence and the more diverse it is the better. Facebook, Twitter, Google+, even LinkedIn and Pinterest. You may be present on all these pages all of the time, you might even have a following but do you have an impact? Social Media Marketing is easy but there’s a little bit more to it than posting promotional status updates and asking your Facebook friends if they’ve used any of your products today. This particular type of amateur Social Media Marketing is actually hurting the business as consumers become wary of friendly sales pitches. If a decade ago the click through rate for banners was 9% today it’s 0.2%. The friendly marketer is now mostly a thing of the past with people circumspect of anybody pitching a product over social media, the whole field barely registering above banner ads and text ads in a recent study about consumer trust. Clearly you need to figure out a good long-term strategy for social media and to do this you first must address what (if anything) you’re doing wrong. The biggest mistake that you could do if you’re managing your own social media accounts is to treat them like advertising channels and constantly spam offers and links through them. Not only is this ineffective but it can drive a lot of followers away. Think of social media instead as conversation channels. SMM is more marketing and public relations than just advertising. A tweet is more like a radio interview than a radio ad. Engage your followers in exciting and intelligent ways and maybe sneak in a little bit of advertising and you’ll be ruling the Twittersphere! And remember the old tired cliche: Content is king. It might be a cliche but that doesn’t mean it’s wrong. Another important thing to take into consideration is the channels you are using to reach out to potential customers. If you’re a b2b company, you might want to focus your outreach on business oriented social networks like LinkedIn or, to a lesser extent, Google Plus. If you sell iPhone cases you might want to focus on the more reactive networks like Twitter or Facebook and perhaps set up a Pinterest board of your products and the inspiration behind them. Social media is an easy way to get in touch with the public and have your products ‘out there’, but you have to run a tight ship to get the most out of it. Nonetheless if you remember that Social Media is interaction not advertising and that having good, interesting or funny content is the most important thing in SMM you will manage your on-line media marketing like a pro.